Kings Dominion amusement park of Doswell, Virginia announced their 2016 plans during a press conference this morning. The highlight new attraction of the 2016 season is Delirium, a swinging pendulum style ride manufactured by Mondial Rides. The ride will be located in the Candy Apple grove section of the park, sitting where the Shockwave roller coaster once stood. 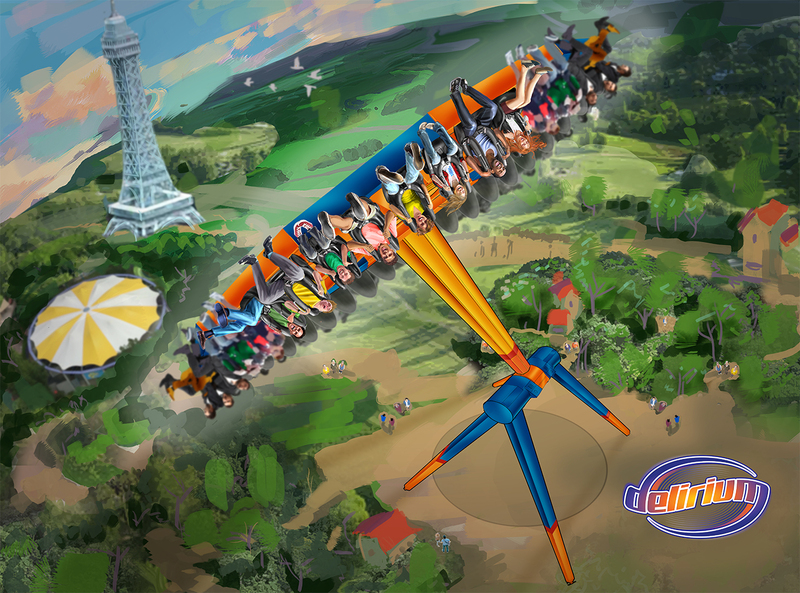 “Get ready to defy gravity on Kings Dominion’s new ride, Delirium. The thrill ride will be located in the Candy Apple Grove section of the park and is set to open in the spring of 2016. In addition to Delirium, Kings Dominion will also be upgrading and renovating select areas around Candy Apple Grove. Delirium construction will begin in the fall, and is set to open in Spring 2016!